I am not a morning person. I awake with a snarl not a smile. Talk to me if you wish but like letters to Santa, do not expect a reply. Each day I feel born anew, struggling to comprehend the world I find myself in. Sometimes a whole day, nay week, can pass me by for I am in a state of limbo, paralysed by sleep, living a foggy dream where people talk at me, my brain unable to comprehend. I am sunk, underwater everything is slower, all noise merges into one and I float at the mercy of the current. Strange it is, that dawn marks the start time for so many of my rides. The beauty of early morning cycling is that anybody can do it, even an early morning zombie like myself, bursting at the seams with the oats I have force-fed myself. Do it once and you’ll either fall for the beauty of the early morn and become a sunrise rider or you’ll hate waking up early so much that you’ll never do it again. Aristotle. Fan of the Kellogg’s cereal fun pack first thing in the morning. The sun peeking above the horizon, the sky black, purple, pink, red, orange, yellow, brilliant blue. A cycling rainbow just for you. An early morning mist clings to the lowlands, the fields still wrapped in their morning blanket. You are the first person on earth to ride this road. You feel amazing. Damn those furry critters, the four-legged pedestrians of dawn, making our morning rides dangerous beautiful. Who needs safari parks when you’ve got morning rides. No screaming children sat in the back seats, just gasps, your own. Did I just see that? Yes, yes you did, you lucky thing. Alone, there’s nothing but the rubber of your tyres rolling across the road to disturb you. Shhh. It’s so early even the birds are yet to wake. You are a zombie, marching on, pedals a’ turning, eyes a’ opening. The roads are yours and yours alone. Nobody can cut you up or beep at you for no apparent reason. You can swerve potholes to your heart’s content and ride the lines down the middle of the road should you so wish. You don’t pay road tax and yet the road is all yours. Amazing, this is what it is to be a car driver. We humans are easily pleased. Getting up before the sun is one of those moments. Such feats are rare in our lives thus a dawn rise makes us feel special, proud, so much so that we wouldn’t say no to a sunrise badge if somebody offered to sew one onto our jersey sleeves (don’t get any ideas Rapha). I know this may seem odd, but yes, whisper it quietly, there is life beyond cycling, a normal world void of cranks and bottom brackets. Friends, bed partners, children, pets, you know the sort of thing. Life I believe they call it. Riding early is for time crunched cyclists who can return home without the wife and children even noticing they have been on a magical voyage of sunrises and lung busting hills. Up and out early in the summer, the morning is your own personal air con unit, hours of refrigeration before the sun rises high to scorch the earth. 8) Science claims it is better for you. Perhaps. Exercising in the morning is said by some to burn more fat because you are riding in a fasted state, assuming you skipped the English breakfast with extra sausage. The science behind this looks a little fragile, but I’ll leave that up to you. As humans we’re all guilty of believing what we want if it helps us to get out of bed in the morning. I do not recommend cycling on an empty stomach for any great length of time. You have no idea what everyone is talking about. You’ve been awake for hours, 5 am isn’t early, it’s late! Dark, cold. Why, why would anybody get out of bed before the 10 am sunrise of December? Certainly not me. You’re not human if you can ignore the wonderful feeling of being cosy and warm in bed. You cannot move, foetal position fixed, the slightest of movements reminds you that the world outside is a cruel and cold place. Might as well stay in bed. Snooze mode time. Circadian rhythms and your body’s natural clock will always fight the evil alarm clock. You wake when you’re ready and damn anybody who tells you any different. Once we were programmed to fall to sleep come dark and awake with the sun. Now we fall asleep when we’ve run out of things to do and rise only to beat the 11 am McDonalds breakfast McMuffin deadline. Watches are synchronised and a time is set. You all meet at the same time, same place. You’re ready. Everyone that is except Dave. Every club has a Dave. He’s late again, making you stand and shiver whilst you wait for him because he couldn’t find a sock or, quite possibly, his bike. This is why I ride alone. One early morning ride is motivation enough to get up and repeat. Just try not to pack too many early mornings into your schedule. Sleep is an important part of recovery. Even the most committed sunrise rider needs help. I know I do. Get an early night. You are not a hero because you can semi-function on four hours of sleep like some kind of Margaret Thatcher robot. The former UK prime minister was famous for sleeping little but then she was often caught talking gibberish and making ill advised decisions. Take it easy on the caffeine. I love coffee as much as I hate getting out of bed. However I prefer a slow introduction of caffeine into my system for early morning rides, especially if I have a long day ahead of me. There’s nothing worse than coming down from a caffeine high half-way through a long ride. I wake up to a cup of tea and take a caffeinated sports drink on the ride that I begin to sip close to the half way mark, thus measuring my energy boosts for the duration of the ride. Alcohol and cycling don’t mix. Avoid this cocktail of misfortune as you do not want to be cycling with a hangover. Hungover, I can barely function let alone cycle. Sure, have a drink with your meal, just be sure not to binge and wobble your way through the morning ride. Dress accordingly. You don’t need me to tell you it is going to be colder in the dewy frost of dawn than at noon. Do you? That said, come summer here in the UK you can get away with just a jersey and shorts, for you and the scorched earth will both warm up quickly. Autumn and spring make cycle clothing decisions a little more difficult. I prefer to overdress and be too warm when the temperatures rise rather than freeze for the first few hours of the morn. Winter? I wear my duvet and stick to my bed. Eat breakfast. Another obvious one, right? However this tip is easier said than done. At 5 am the last thing my stomach wants is food. Force feeding myself porridge is not a pretty sight. Remember when you was little and your mother would make you eat the cabbage and you would heave, convulse and wretch? That’s me eating breakfast at dawn. Try to find something you can swallow easily but will still provide you with enough energy to fuel your ride. I’m still looking for such a breakfast so do let me know what you manage to eat early in the morning! And remember not to eat too much, you don’t want to be digesting food for half of your ride. Don’t linger. I aim to be out on the road within 30 minutes of getting up, 15 minutes if possible. The longer I faff around or start reading the news, the less likely it is I’ll want to leave my cosy house for the great outdoors. Prepare your kit the night before. This little ritual will save you the hassle of trying to clamber into inside-out Lycra when you are still half asleep or the panic of trying to find your lucky cycling socks. I always get excited when prepping my kit, like a child the night before Christmas. I lay out my clothes in a pile ordered by how I will need to put them on come the morning. Everything is prepped. Kettle filled with water, teabag in cup, bowl and spoon out ready for breakfast. Now is the time to be obsessive compulsive. Squeeze out the number two. Sorry for that image, but this tip is important unless you enjoy searching for large leaves and pooping behind hedgerows. A hot drink will help. If not it’s time to grit your teeth and pray. Just think of all the extra weight you can er, dump. Start slowly. Your body probably still thinks you’re in some kind of cycling nightmare rather than actually preparing for a 100 mile ride. Spin an easy gear gently and work your way into the ride to prevent injury. In the old days, exercise nuts would recommend warming up pre-activity, not any more. Do not stretch a cold body, you’ll only risk injury. Take your shades. Nobody will see you looking cool but at least you’ll see the road when the sun is low in the sky. Wear dark clothes and put your lights on. I hate high viz clothing. Some studies suggest your visibility may actually be reduced when riding into a low sun wearing high viz compared to if you are wearing darker colours. Accidents happen so when a driver is blinded by the sun you want to make sure they see you. I’m not entirely sure about the dark clothes thing but at least make sure your back light is on, bright and blinking. Take your camera. It’s beautiful out there. Don’t brag. Too much. People will not think you’re a hero for getting up before them. You know the truth however. Don’t plan an active day post-ride. You’ll be fit for bed perhaps but certainly not for operating heavy machinery. So what about you? Are you an early bird or a night owl? And just how do you eat breakfast so early in the morning? “I always get excited when prepping my kit, like a child the night before Christmas” – me too, it’s great fun. “Squeeze out that number two” – This will keep me laughing for some time. It’s true mind, but very funny when stated all the same. I would like to re-blog this post but see no obvious ‘re-blog’ button. Do you mind if I do? No problem at all if not. Thank you sonmicloud. Try to shake that image! And yes, feel free to share. The reblog button should be on the black menu bar at the top when logged into WordPress (desktop – not sure about mobile). Shaking away here I can assure you. *laughs. It’s not to be seen on my ipad desktop, so I’ll have a look when I’m back on the computer in a while. At worst, I’ll copy all the text and pictures across with a straight link back to you and some fanfares and a small parade of dancing ducks or something along those lines. As I get older the early mornings get easier but the first hour on the bike gets tougher! 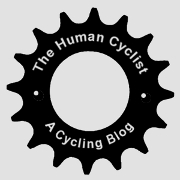 A highly entertaining and spot on article from the Human Cyclist here. Enjoy. If my body thinks that I am serious about a long ride, there is no need to squeeze. Sometimes the only way that I know that I am serious myself is if my bowels send me the message. Getting out of the house quickly is the key though, you are quite right about that. I like the fact that your bowels dictate your ride not the other way around! I think the routine is all part of the training! Putting bib shorts on and zipping up the jersey / jacket seems to be the surest way of guaranteeing a loo call. I’ve not managed a dawn ride (dawn surfs pre-work yes but not leisure dawn rides) however if they’re as much fun as dusk/ night rides I need to factor one in soon, thanks for the write up. Sounds like you get plenty of the morning ride experiences by surfing. Must be quite something being in the sea come sunrise. No it’s sunset rides for me, especially in the Scottish winter. I love that light as it fades, and I’m warm from the ride as the dusk beckons in the cold. Sounds lovely too, we’ve had some great sunsets down here in London of late but imagine nothing compared to the big vistas you have up in Scotland, lovely cycling country. I do like those summer mornings when you just know its going to be a sun drenched belter, and you get out in the chills and feel and see everything warm up around you. There’s also a different smell in the mornings; a freshness. Having said all that, I ride like a dog first thing in the morning. An evening ride seems to instinctively suit my system much better. It’s odd I rarely ride in the evening. I wonder if I’m quicker! I do like that feeling of going out into a warm evening, roads cooling, sun sinking, legs pumping. Note to self, get out more after work and don’t be so lazy! “Squeez[ing] out the number two” is (a) the reason for drinking that mug ‘o coffee; and (b) the reason why thirty minutes just isn’t enough. Great blog, this one. Thanks. Fantastic post. Thanks for writing it 🙂 It sums up my (very mixed) feelings about morning rides. When I can force myself out on one, I invariably love it. But oh, it does hurt to get moving some days. Agreed Peter, gets tougher as the days get shorter. I usually begin rising later as the mornings get darker. The cold begins to set in too, so a new clothing strategy is required. A couple of times last year I snuck out for a quick sunrise over the sea spin and back before breakfast. A magical time of day. Great blog! Well said. Sometimes you feel like the last person on earth. Or the first! Just did my first morning ride today… it was awesome and probably can enjoy my day even more now! 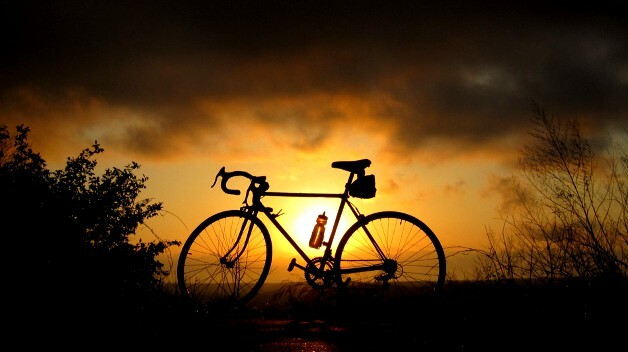 I’m very much a Dawn cyclist. I love it. It’s just me (mostly) before the rest of the world wakes up. It’s just a good exercise run before work for me. Here’s a pic from Monday gone. There are quite a few pics from my Dawn spins on my instagram. Nice image, it certainly is getting tougher now to get up early since it is dark and cold! Loved this article. 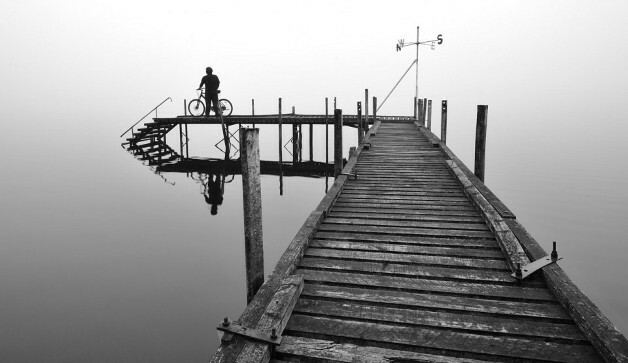 I love early morning cycling. I am a commuter and love that ride to work every morning. I just wish I could do it EVERY day of the year… But alas, I lived in Indiana where we do have winter and very cold weather. I had to smile about the night before prep and the #2 before riding. Gee I thought it was just me!!! My stomach gets excited about riding in the morning so I can’t eat anything before heading out to go to work. BUT… Before arriving at work I go to my “sanctuary”… Starbucks right by work and have my morning fix of coffee, a breakfast sandwich and peace and quiet plugged into my iPad listening to whatever suits me that morning. Thanks Pattie, I love the post ride (second!) breakfast and coffee after an early morning ride. So comforting and rewarding to enjoy a big feast and pick me up in a cup! I read this post in 2014 and came back again to read it after being called crazy and other things for saying I’m about to go for a night ride at 11pm. But I ignored it all because after all they’re lazy ignorant Americans. I left without saying anything else as they played their geeky role playing board game. There’s never a bad time to ride! 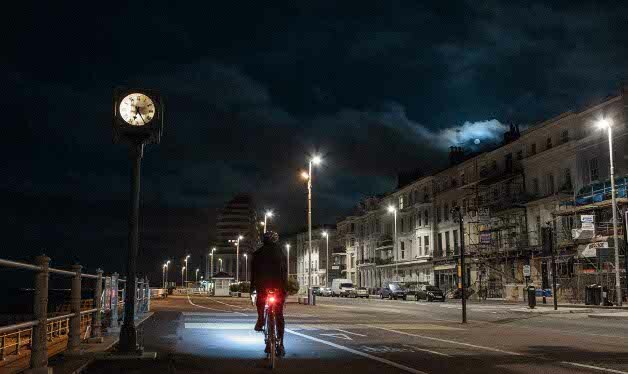 These is a great collection of tips and benefits of night riding. I’ve been night/early riding for 6 years in order to stay active and balance a busy family and work life. So far I’ve done 78,500km, with 50,000km done at the bloody-early hours. This year most of my early bike rides started before 3am (finished by 7am). 2. Early morning rides are the ideal time to: meditate, contemplate, vent, and rejuvenate. Prep an early morning playlist and only listen to it during your early rides so you form an association with it. Play it at times during the day at work to motivate / elevateyou. 2. Get to bed early the night before, but if you can’t fall asleep, it’s ok – don’t skip a planned early morning ride because you didn’t sleep enough. Drink an extra coffee the next day and catch up the following night. I get the best sleep the night after I’ve done a night ride. 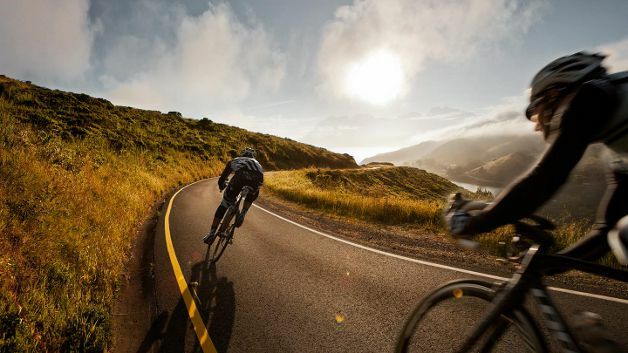 If you start skipping morning rides, you’ll lose the drive to do them. 3. Don’t eat breakfast until 1hr into your ride. Alternatively, fuel up the night before, eat a big dinner, and you’ll use the stored energy the next morning & then eat breakfast when you’re back home after your 100km ride with your family when your body is craving proteins. 4. if you’re having problems squeezing out number 2, and coffee/warm drink hasn’t done it for you, put your kit on. That can get stimulate your adrenaline and help you get #2 going. Take your kit off before going to the bathroom. Awesome advice and insight Dasz, candidate for the comment on the blog I think. Love the super hero, super freak. I think in my case it’s usually the latter! Your rides in Vancouver look amazing. Great pics too.